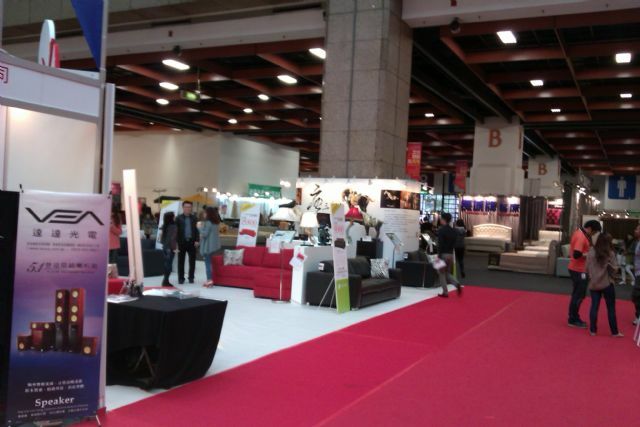 Lifestyle, a US-registered furniture company, made an inaugural appearance at Taiwan's furniture show this year. Taiwanese consumers likely have never heard of the firm but its owner William Hsieh is known in Taiwan's furniture industry. Hsieh's furniture empire in Taiwan flopped to force him to restart his trade in the USA where he prospered, and aims to via the trade fair this year to make a comeback to the Asian market. 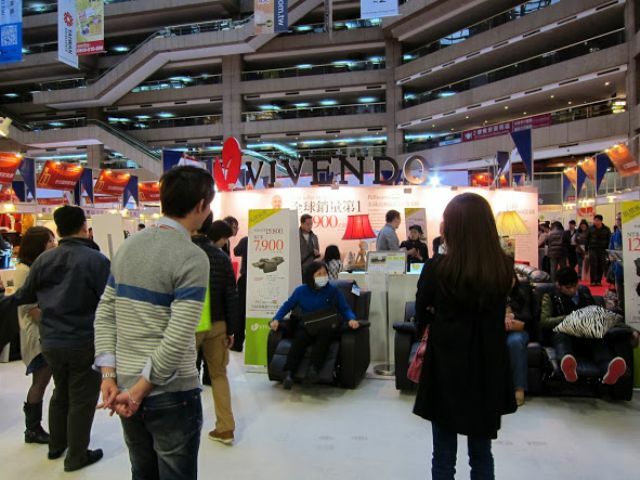 Lifestyle, a US-registered furniture company, made its inaugural appearance at Taiwan’s furniture show this year. Hsieh has three furniture brands for the Asian market: Lifestyle, Forbidden City, and Shanghai, which cover sofas, wooden furniture, bedding, bed sets, and so forth, of which leather sofas account for 60%, and wooden furniture 40%. The maker's success lies in sourcing and manufacturing in Asia, offering amazingly cheap prices, and combining with radically innovative marketing. The company has literally risen from the ashes of the erstwhile buoyant furniture industry in Taiwan to have made a name for itself stateside in recent years. Kevin Castellani, president of America's Furniture Today magazine, describes Hsieh's marketing tactics as close to "crazy", shattering the U.S. furniture market marketing mode, and creating the Lifestyle brand awareness and corporate image in one stroke. Lifestyle combines “amazingly cheap” prices and “disruptive innovation” marketing practices. Hsieh's radical marketing tactics of selling “low-cost brand name furniture” worldwide by “selling furniture like Coca-Cola” has turned upside down the U.S. furniture market. "Radical innovation" uses a completely different scientific technology and business model from those which went before it, and making drastic transformations of a market and industry through innovative products, production methods and modes of competition. After marketing in Europe and the USA for a number of years, the maker this year decided to take Lifestyle to the Greater China market, by building cooperation with online shopping platforms and logistics companies. Lifestyle's Shanghai global operational headquarters is open to show determination to enter the China and Taiwan markets. Likely as early as next June it can accept orders online from consumers in China. Lifestyle was set up in California, with Hsieh in debt by NT$200 million, but now generating annual revenue of NT$6 billion, to which Hsieh attributes to “Coca-Cola style marketing.” By entering the Chinese market, next year the brand aims to achieve annual revenue of NT$7.5 billion, to become a globally top-five supplier within three years. Despite being 66 years old, Hsieh is still driven and wants to carve out his own business territory. 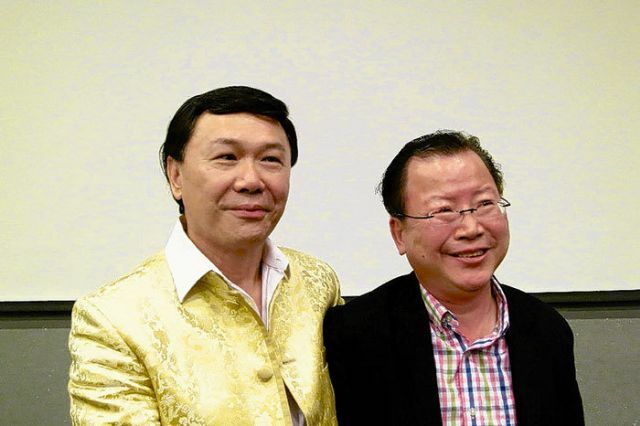 Lifestyle founder William Hsieh (left) and global marketing director, Wang Zhi-yao. In 1997, Hsieh founded Lifestyle in the USA but did not turn a profit till 2009 to earn US$10 million in just one year. Thereafter each year saw rapid annual growth of 50% to result in revenue of NT$6 billion in 2013. Hsieh said simply that "the globally-popular Coca-Cola comes in only one dark brown color, while 80% of our sofas are in black." Not only changing the products, Hsieh also began to implement “reductive thinking”, by first halving customer numbers, refusing business that yield less than 10% gross profit margin, and adamantly refusing to borrow. Hsieh said that the past experience was too painful. Many of his customers stopped buying, and now he does not keep inventory nor receivables, delivering goods after cash receipt. Hsieh once ran Asia's largest furniture manufacturing plant during the 1980s, and in the same period hit peak sales. With an annual turnover of NT$2 billion then, it was Taiwan's largest furniture company. In 1990, Hsieh was elected National Assembly representative, and in 1995 founded a furniture hypermarket in Taiwan. In 1997, after Hsieh's business partner became unprofitable, Hsieh shuttered his business in Taiwan and in 1998 founded Lifestyle in the USA. In 2013, Hsieh withdrew from management to serve only as founder of the Lifestyle Group, attributing his role transition to his 67 years and wishes to allow younger people to take over, but still remaining the spiritual leader. The price is relatively cheap compared to real leather, yet a highly tactile feel can be created that is very popular with European and American customers. To differentiate in the highly competitive European and U.S. markets, Lifestyle copied the imperial style of the Forbidden City and built its headquarters in High Point, North Carolina for NT$200 million. The company succeeded in attracting over a thousand large buyers each season and ample dealers at the All American Furniture Expo every April and October. Lifestyle sofas come in wide-ranging styles with rich texture, and the company considers consumer's experience. Lifestyle makes leather sofas mostly with Italian synthetic technology, enabling it to sell such sofas at low prices compared to real leather, with its products still highly tactile and very popular with European and American customers. Lifestyle's global marketing director, Wang Zhi-yao, explains that Lifestyle's adoption of the “Coca-Cola style marketing” inevitably slashes furniture prices. 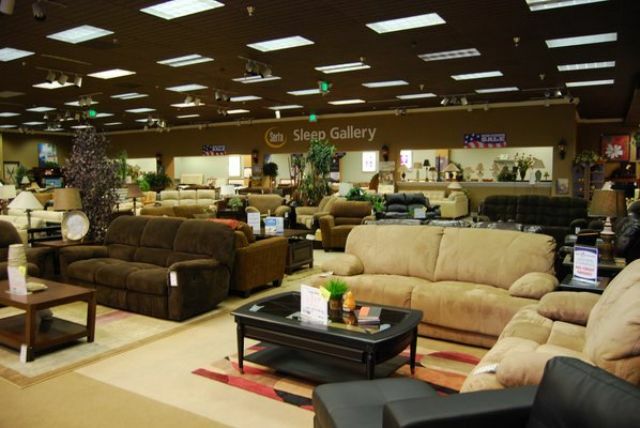 Although not available in many styles, the sofas are preferred by most consumers, with just the top-10 selling models accounting for 80% of revenue. For example, a classic bed set which is still a best-seller has recorded a monthly average shipment of about 350 containers since its launch in 2001. Wholesalers who buy from Lifestyle can sell at local market prices. Hsieh revealed having been in the furniture business for over 30 years and knows the importance of profitability to a factory and how purchaser's habits decide the bottom-line. 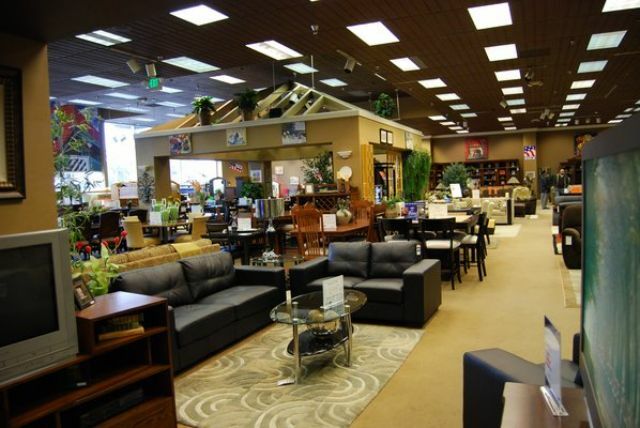 To run a profitable furniture business, one has to be a skilled salesperson, as well as keen buyer of raw materials. "Just don't keep an inventory," he said. Lifestyle chief executive Xiao Yan-xiong said that traditional furniture makers typically think "design, procurement, production, then sales." Lifestyle operates in the reverse: set a sales price strategy, find the people to design and procure, and finally take orders for production. Chief executive officer Xiao Yan-xiong said that five years ago, leather sofas accounted for 5% to 10% of Lifestyle's revenues, but today the percentage has surged to 45% to be almost on par with wooden furniture, which is mainly procured from Taiwanese businesses in China, Vietnam and Malaysia. As for leather sofas, they're all produced by local manufacturers in China for export mainly to the U.S. market. Lifestyle adopts various advertising strategies as promoting its mainstay beds at US$99 per piece, sofa sets (six pieces) at US$499, US$399, US$299, and US$199, selling as "amazingly cheap" signature products to attract attention of wholesalers. Wholesalers who buy from Lifestyle can sell at local market prices: a US$199 sofa set may sell for US$599 or US$499. High volume and low cost enable wholesalers to recoup the cost of a sofa set for each set sold, even if the sale price is only US$299 or US$399. Most furniture manufacturers will offer wide-ranging choices as upholstery colors. But Lifestyle's "Coca-Cola" model allows only one hot-selling sofa set, available in two choices of black or white. Economy of scale cuts cost to enable offering cheap furniture at US$199 or US$299. Originally with Acer, Lifestyle's global marketing director, Wang Zhi-yao, introduced the modus operandi of 3C industries like Apple, with only the brand operated without factories. "We can find a hundred factories to help us. Running factory calls for investing in manpower, equipment that burdens a furniture maker. But we don't specialize in production line management, only marketing. Specialization raises the likelihood of success," said Wang. Precisely because Lifestyle concentrates on brand development, design is outsourced, with a number of the best Italian leather product designers as partners who are paid in accordance with turnover: the more sold the more they earn.